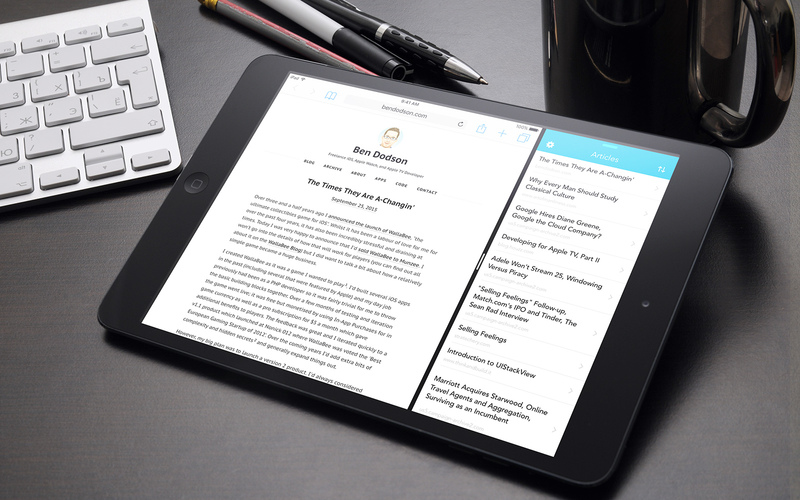 Pocket Rocket is an iOS app that gives you a quick way to view your Pocket articles in Mobile Safari. 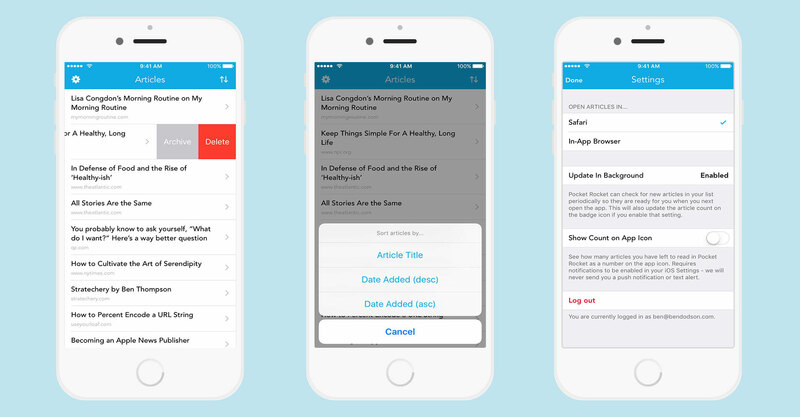 Simply sign into your Pocket account and your list of articles will be displayed; tapping will take you to Safari (or you can choose to use an in-app browser if you'd prefer). This makes viewing articles much quicker but the benefit is greatest on the iPad where you can run Pocket Rocket side-by-side with Safari for quick reading. Pocket Rocket is available for free on the App Store and contains no advertising or in-app purchases. Choose to open articles in Safari or an In-App Browser. You can also open in Firefox or Chrome if installed. Pocket Rocket is available for free on the App Store and contains no advertising or in-app purchases. Pocket Rocket will run on any iPad, iPhone, or iPod Touch running iOS 9.0 or greater. It is optimised so that it looks great on all sizes of device. This app is not affiliated with or endorsed by Pocket in any way.